I’ve been in the online marketing space since 2008. I’ve run product launch and go-to-market campaign strategies and tactics for multi-billion dollar companies like FedEx and have tripled online revenue for smaller niche local companies by the dozens. I’ve built and managed online marketing strategies for dozens of B2B and B2C businesses – large and small. I got my start in SEO and social media marketing. SEO has changed a lot since the early days. The tools and tactics taught in this article currently work and will likely always work for WordPress SEO. These WP themes are not only good for Search Engine Optimization but also for your human site visitors. Forget Panda, Penguin and Hummingbird these SEO strategies will teach you the white hat way to search traffic. In the modern era, search is one of the most important – if not THE MOST IMPORTANT – traffic channel for nearly any business online. Before someone does business with you in 2018, they’ll almost always “Google” you. You’ll bring in leads and revenue from people searching for products, services and information you have on your blog or website. Google is impossible to ignore. It’s true. 1. SEO is a slow burn – You won’t see results from SEO overnight. In fact, the changes you make today could take months to pay dividends. SEO is a long term strategy… but an important one. 2. SEO isn’t reliable – Google is always tweaking its algorithm and your search traffic will go up and down as competition ebbs and flows in your niche. Don’t put all your eggs in the SEO basket… or any basket for that matter. 3. Consider humans first – Don’t go SEO crazy and start creating content only a search spider could stomach. Always err on the side of user experience. Not all WP themes are created equal. Here are what I consider to realistically be THE ONLY TWO SEO friendly WordPress frameworks for building effective websites using WordPress in 2018 (and beyond). Matt Cutts of Google fame switched from Thesis to Genesis in 2013 and has been using them since. Joost de Valk, well known for creating Yoast SEO, one of the most popular SEO plugins for WordPress to date, began creating his own WordPress themes. They are all child themes built upon the Genesis Framework. If you’re are a WordPress developer, one thing you will really appreciate about the Genesis Framework / StudioPress themes is the developer package. Unlike most developer packages, if you purchase a StudioPress Pro Plus Package (currently $499.95 for the Genesis Framework, 50+ child themes worth over $2k, plus future themes and lifetime support), you can use their themes (and future ones) on all of your websites and your clients without paying additional licensing fees. Being in the company of other great users such as Chris Brogan, Darren Rowse, Jay Baer, and other industry experts. You can also choose the Pro Plus Package at $499 for the framework plus all current and future child themes developed by StudioPress. To learn more about StudioPress, visit their Get Started page. Another favorite of SEO professionals and those who like to stay search optimized is the Thesis Framework by DIYthemes. Formerly used by Matt Cutts and Danny Sullivan of Search Engine Land, this framework has become more user friendly in its latest incarnation, moving from the dependence of users to build their own theme designs to offering skins, boxes, and drag and drop functionality. I’ve covered this topic before in the past – and I’ve covered WordPress SEO more than once. But since then many new WordPress themes and tools, each with newer functionality and features that cater to both users and Google alike, have emerged onto the website development cosmos. If you’ve been searching for a theme that’s perfect for showing off your personality, your community and your real estate listings, you’ve found it. 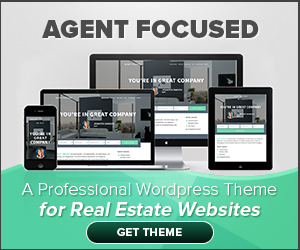 Agent Focused Pro is a premium WordPress theme designed with both real estate professionals and their clients in mind. Are you launching a startup business? Or do you want your business to look like a startup? This high-energy theme is chock-full of features you can put to work for your business with just a few clicks. Prepare for the attention your new product launch will get, because all eyes will be on your website when you use the Showcase Pro theme. Show off your best product images and content with a WP theme that displays them with clean, bright style. If you’re a blogger, speaker or thought leader who’s ready to step it up and seize success with a bold, eye-catching theme, you’re ready for Aspire Pro. Aim high with a high-impact WordPress design that puts your best offerings in the spotlight. As a designer, photographer or other services professional, you likely put a lot of thought and care into the spaces you style … why should your digital presence be any different? With Interior Pro, we’ve taken care of the online staging for you so that you can effortlessly share your creative approach with the world. The new role of website design is to tell a story, which is what this responsive WordPress theme was developed to do. Parallax keeps your page content in proper narrative order, giving you a simple vertical design for easy visual eye movement and flow. It divides your content into parts, with a clear connection between them, allowing visitors to read it like a real story, with no pause or break, and leading them right to your call to action. As a product designer or idea person – you tinker, you conceptualize, you come up with hacks, and then you Make. Maker Pro is a theme that honors your Maker self and puts your ideas — as well as the creations they give rise to — front and center. There are an endless number of WordPress themes out there, both free and paid themes. If you decide to go with other themes, be sure to check the following with the theme’s demo version. Load time – Google ranks sites that it believes will give searchers the information they want and a great user experience. Slow loading websites do not offer a great experience. If the theme demo takes a while to load, it may not be the one to choose. Responsive design – Frameworks and themes that offer responsive design (designs that work on desktops, tablets, and smartphones) are best for both user experiences. Plus, Google may not show your website in mobile search results if your website is not mobile-friendly. Footer links – Some free themes (and even paid ones) will insert links into the footer. While having a link to the theme developer you are using isn’t a bad thing, having a theme that puts other irrelevant links in the footer is. Some won’t show these links in the demo version – if you download a theme for free, check it once it’s on your website to ensure you haven’t gained any unwelcome links. [feature_box style=”33″ title=”Get%20250%2B%20Premium%20Wordpress%20Themes%20%26%20Plugins%20FREE%20When%20You%20Join%20Unfunnel!” alignment=”center”]Join UF Growth Labs and get access to our FULL COLLECTION of premium WordPress Themes and Plugins – 100% FREE in your Membership Dashboard! You can also visit this guide to check your new theme you are considering for more WordPress SEO do’s and don’ts. Join Unfunnel Growth Labs and get access to our FULL COLLECTION of premium WordPress Themes and Plugins – 100% FREE in your Membership Dashboard! GET STARTED FOR ONLY $1.00 FOR 7 DAYS! I think there are many other people who are enthusiastic about them just like me! How much time does indeed it take to complete this awesome article? I have read through other sites, nonetheless they are difficult and confusing. I actually hope still have such quality articles to discuss with everyone! You have Collected very nice collection. I would like to share one more theme which is best for SEO-optimized and multipurpose theme and it is Kosmic WordPress Theme. This theme has WooCommerce plugin supported so that it is easily fulfill the requirements of Online store. It has so many features which make your website elegant and beautiful. Beautiful websites do NOT equal good at SEO… in fact, it’s often much the opposite. SIMPLE websites often rank much higher, as do themes with speed + simplicity + clarity. WooCommerce themes are not listed in this list either… for several reasons, most notably the fact that WooCommerce is not even the best-in-class option for Ecommerce SEO – and equally important, Ecommerce stores are not the top of the website SEO charts unless they are sites like Amazon.com. Great collection , i got a theme on this collection for new blog . Easy custom and install , Thanks so much !